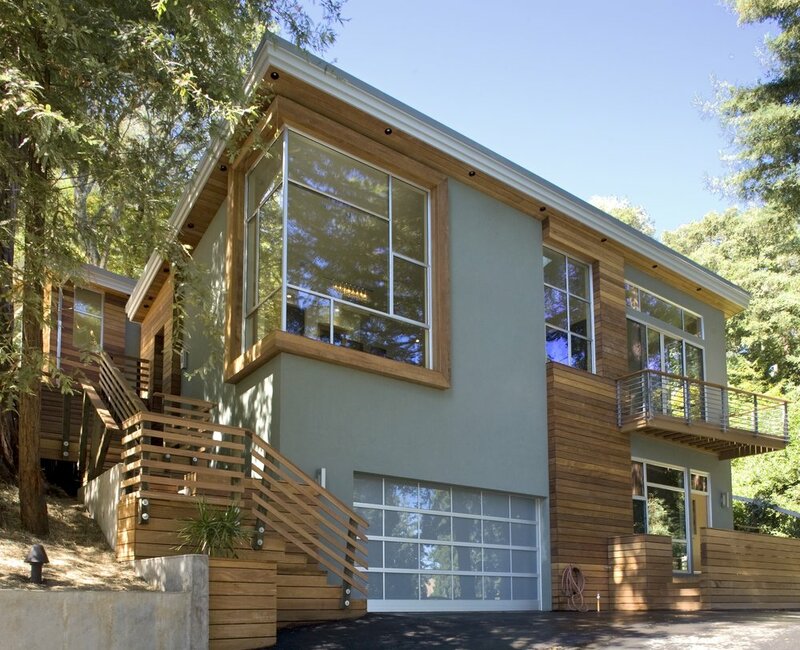 Two forward-thinking builders wanted a speculative house project which featured some thoughts about architecture and construction—mostly about minimizing intrusion on a steep and sensitive site beneath a redwood tree grove. This thoughtful approach was the point of inception which was explored throughout the house. To minimize soil disruption, the house gently steps up the site using a glass bridge linking two pavilions, public and private. The need to make the most of minimal direct daylight inspired the soft composition of large window walls and long ribbon skylights to allow sunlight to cast dramatically down the interior walls, a display which changes moment to moment. 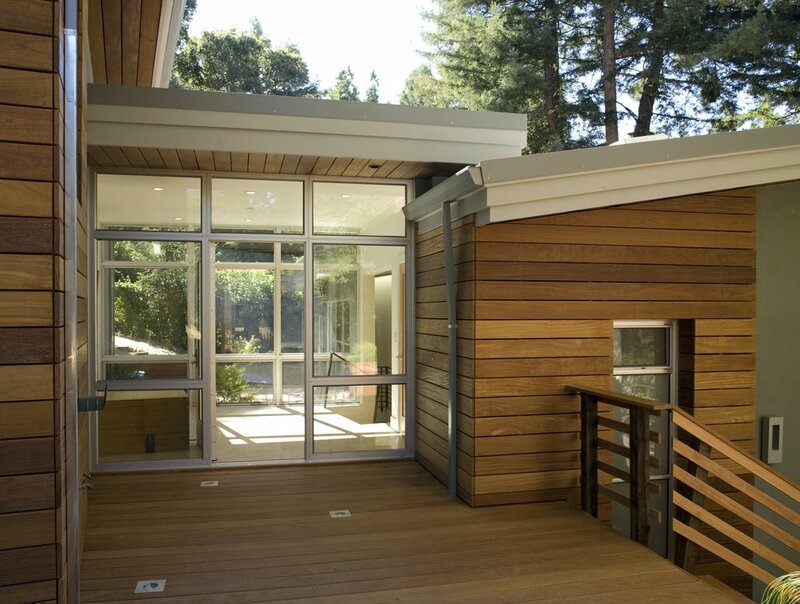 Kenneth designed this house in association with the architect-of-record, Crome Architecture.